Some years ago a saw a car offered in our local newspaper. It was just called American Convertible. I like all kinds of Convertibles, so I drove there and had a look. But never had seen such a car before. It was a '65 Monza Convertible in red with saddle interior and top. The next days I tried to get information, but all I found out was: the only air-cooled US car, with a flat 6-cylinder in the rear. Finally, one week later, I bought the car. It looked OK, started good (after replacing the battery), and was driving very well. Then the car gave me a very pleasant season. After the next winter I just wanted to remove some minor rust, but the more I removed the more rust I found. So I ended in a full restoration of this car, without ever having planned or even thought to this. Unfortunately my job does not leave enough time for a continuous work. My wife is also expecting to see me from time to time outside of my garage (although she is tolerating this hobby). In the meantime I am working for years on this project. Actually this means every second or third weekend. 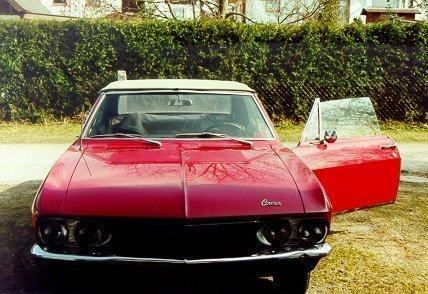 See also some pictures of the ongoing work on my Corvair. After quite some break I continued to work in summer 2002. Some first results are in the "rear section". 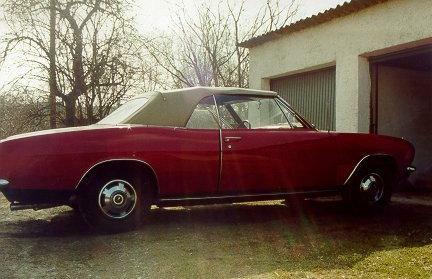 Pictures from the spring '98 meeting of the Swiss Corvair Club incl. German Section.